The sequel to ‘Man of Steel’ neither ignores the world as it is, nor pretends there’s nothing beyond it. If you glance for more than five minutes at any critical or popular-level analysis of the superhero genre, you’ll invariably encounter references to the faux-theology of what is in effect a modern pantheon of deities. Such comparisons are unavoidable: the similarities and even explicit overlap between the majority of DC’s Justice League, Marvel’s Avengers, and the gods of the ancient Greeks and Vikings are obvious: their supernatural powers, clear-cut personalities, limited authority, and fallibility. Also, the fact that they’re constantly fighting each other, with hapless mortals caught in the crossfire. In light of these abounding metaphysical implications, you’d think the in-world reaction of humankind to its effective marginalization would’ve by now become a central theme in superhero cinema. Instead, what we’ve been given is the Michael Bay … er, Joss Whedon treatment (sorry, Whedonites). That is to say, a lot of pretty explosions, personality clashes, and supernatural soap-opera without any thought invested in how the society and beliefs of ordinary people are affected by such phantasmagoria. Ordinary people are just townsfolk, after all — extras seen only when slapping shut the shutters as the gunslingers face off in the street, useful only when they serve to mirror the viewer’s involuntary cringe. Some of them, gifted with secret-society status or endowed with inexplicable invulnerability, become honorary superheroes themselves. But it’s only when they rise from the faceless masses to align themselves with the Powers that they become worthy of notice. 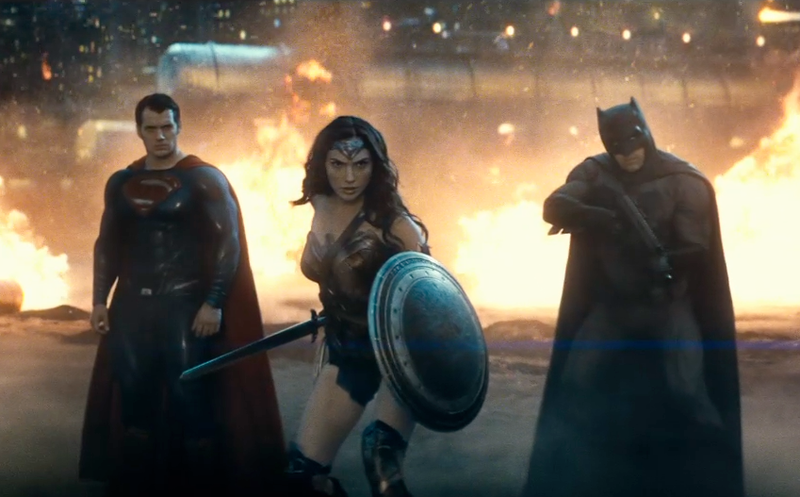 The superhero genre has detached itself from the world of human beings. Enter Zack Snyder. 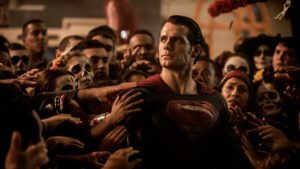 In Man of Steel, the visually-distinctive director redeemed Superman from a past of cheap grace and unaccountable wish-fulfillment. 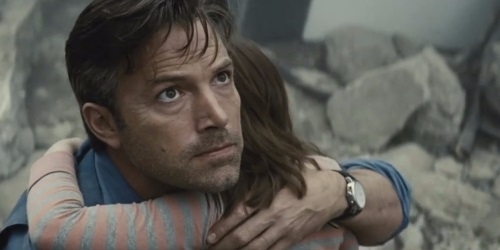 In Batman v Superman, he continues to play the story straight, as if a godlike alien had actually just saved the real world. What’s the result of this approach? The townsfolk don’t trip over themselves to hit their marks. Many of them don’t like the idea of living under a deity who can’t be controlled. Some of them don’t accept his word that he won’t abuse his power. A few of them actually push back. The story begins where Man of Steel ends: in cataclysm. But this time we’re not swooping through the air in the wake of dueling gods; we’re on the ground as debris rain down, speeding through streets choked by cement dust and streaming with shellshocked mortals. This is Bruce Wayne’s memory of the day when Krypton came to Earth, the day that everything changed. Wayne had become jaded long before that, of course. He’s still haunted by the murder of his parents (and if you think you can’t possibly be moved yet again by that infamous tableau of childhood loss, you need to see this film if only to be awed by the sense of terrible wonder with which Snyder infuses the familiar). Wayne is older now, and he’s seen it all, and whatever idealistic restraint he once possessed has faded into a pragmatic gray. Nowadays, Batman brands criminals like cattle so their own kind will slaughter them in prison. The downward pull of entropy lies heavy on his shoulders; he’s convinced that people only change for the worse. And he sees the red-and-blue alien in the sky and fears what such a being will do once drunk on unchecked power. And so he hatches his plans. But he’s not the only one. A series of frightening coincidences slowly turns the public against the Big Blue Boy Scout. An outspoken US senator demands he submit to Congressional oversight. 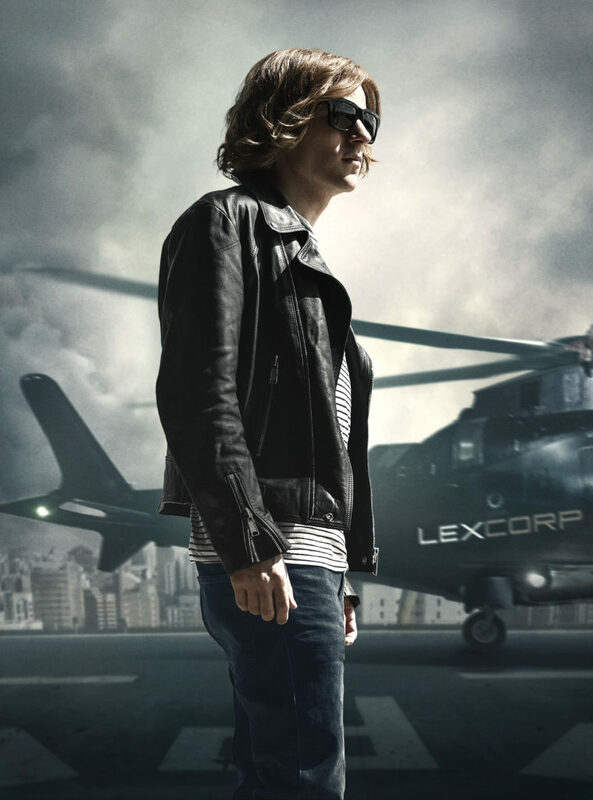 And a charismatic young CEO named Lex Luthor sends investigators to the alien wreck which now rises like a tumor from the Indian Ocean. There are sinister forces in motion among the humans whom Superman wishes only to help. He must come to terms with their ingratitude, their suspicion, their rejection. He must decide once for all whether he’s willing to spend himself in service to a people who see him as a threat. Inasmuch as he’s assigned blame for finishing fights he didn’t start, or for not sufficiently mitigating his opponents’ destruction, Superman truly does come to represent America in a way Siegel and Schuster couldn’t have foreseen. If this is all beginning to seem like a little bit more than your typical two-and-a-half hours of escapist entertainment, that’s because it is. This is the fulfillment of the promise of the superhero genre. It’s a story meta enough to acknowledge in its script that Superman is a “Jesus figure,” yet serious enough to actually weigh the implications of that statement. And speaking as someone sick at heart at the flippancy with which the Shrek generation deconstructs the classic sagas, I love this. This is what it means to infuse new life into decaying tropes. Not to subvert, but to affirm in the face of even greater challenges. I haven’t even mentioned the film’s performances yet, because I didn’t notice any performances. The actors inhabit their characters, one and all. Not for an instant did I feel I was watching a charade. And this sense of total commitment permeates the production. The camera dives through heaven and then pauses, riveted, upon the tiniest detail, moving with a grace — a sheer confidence — that took my breath. This is a beautiful, an exquisite film, and Hans Zimmer’s near-continuous choral score elevates each successive moment to heights of mythic significance. It’s also beautifully scripted: screenwriter Chris Terrio, of Argo fame, lends his voice to that of David Goyer in crafting dialog that pops and simmers with subtextual heat, and often requires more than a few moments to process. There are a few hiccups in pacing, results of the obligatory shoehorning-in of various setup-scenes for the forthcoming Justice League ensemble film. As someone emotionally uninvested in characters I haven’t met yet, I experienced only vague annoyance during the revelation of non-plot-relevant information. But not distracting in the slightest was the note upon which the movie ended: a Lovecraftian portent of perils even darker than those we had yet seen. And so yes, I’m ready for more. 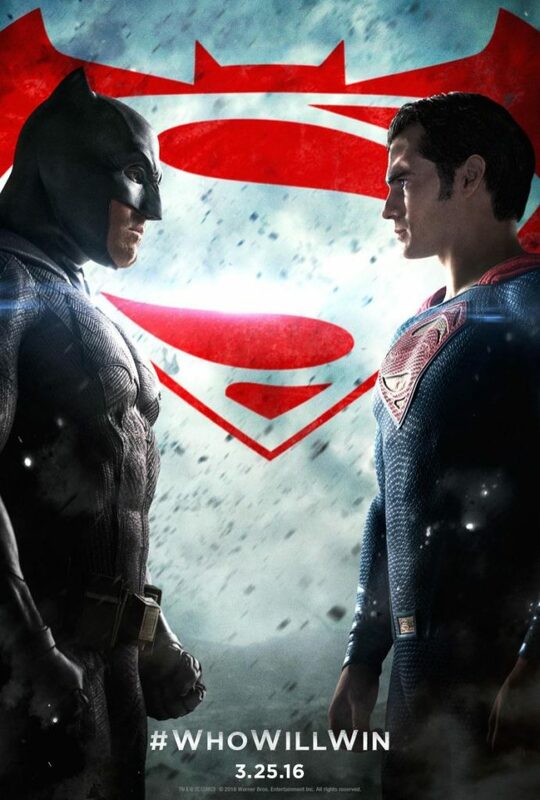 And you, Dear Reader … are you ready for Batman v Superman? Well, that depends. Do you love the superhero genre just the way it is? Do you think nothing about it needs to change? In that case, you may wish to recuse yourself from this film, and from the remainder of DC’s cinematic universe. Because Zack Snyder and company clearly weren’t satisfied with the status quo, and they’ve done something about it. Something deeply self-aware, and yet profoundly uncynical. A film that has meaning beyond the triumph of one spandexed posturer over another. A story that neither ignores the world as it is, nor pretends there’s nothing beyond it. A superhero theodicy. Right on the mark, Austin. Well said. Totally agree. I love what Snyder is doing setting up the DC universe.